If you own your own home then you are literally sitting on a goldmine. Your home will be your largest asset and there are ways to make money on your property without selling it. If you are looking to make some money then you should consider making your property work for you and look at all the options to make money from your home. If you have owned your property for a good few years then with rapid escalating property prices you will probably have some equity available. You can release some of this money and take the cash now and the best way to do this may be by taking a loan secured against your property. You should be able to achieve favourable interest rates with a secured loan against your property with longer repayment terms. There are certain schemes available where companies will buy your property from you and then allow you to live in the property and pay the company rent. You should take financial advice from a reputable advisor if considering this sort of scheme. Property prices do not look set to slow down anywhere in the near future; it is thought they will rise by 50% over the next five years, and you could lose money by selling your house with this method. If you have rooms in your home sitting empty and you are not adverse to the idea of having someone other than your family living in your home, then consider renting out a room. There are government schemes available that allow people renting out a room to earn £4,250 before paying tax. The only stipulation needed to be eligible for this scheme is that the room you rent out must be furnished. Renting a room is a great way to earn extra money and if you live near a city centre or university then you can charge around £100 per week. You can either advertise in a local newspaper, via the internet, or go through an estate agent who will advertise the room for you. 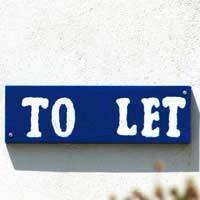 If you go through an estate agent you will have to pay fees but your tenant should be properly vetted. If you time it correctly you can rent your home as a holiday home for a few weeks per year and make a tidy profit. This would work well if you lived in large cities or towns that have festivals and events throughout the year. The money that can be made by renting out your home is not insignificant. For example a home in Scotland's seaside town of Carnoustie at the time of the Golf Open Championship can be rented out for around £3000 per week. Estate agents can arrange all the details, vet tenants and arrange payments. If you live in cities such as Edinburgh and London, then you virtually have a year round market, with summer being the most popular months. Parking in London and other big cities has come to a critical state; there are simply not enough parking spaces for commuters. Renting out your driveway is now one of the more popular ways to make money on your property. Parking fees for a day in central London can be anything up to £35, not to mention congestion charges, and so the idea of renting out driveways came into being. You can make around £50 per week and upwards by renting your driveway or garage and there are websites and estate agents who will advertise for you. If you live near sporting stadiums, music arenas, or racecourses you can rent your driveway by the day and make around £10 and upwards per day. Finding ways to make money on your property will give you extra disposable income and can help pay off your mortgage quicker. Seriously undertake your research prior to embarking on any of the above options and make sure you are aware of all the tax implications.